This Townhome Is Beautiful! The Location Is Perfect - A quiet Community Tucked Away From The Hustle & Bustle Yet Just Minutes Away From 485! This 3-Story Townhome in Stillwater Community features a Neighborhood Pool! The Spacious Open Great Room & Dining Area features a large deck! Kitchen has wood Cabinets and a Breakfast Area! Third level features a Master Suite with Trey Ceiling, huge walk-in closet and en-suite bath! Large Guest Bedroom with Over sized Closet! 2 Full Bathrooms, 2 Powder Rooms! 1st Floor has a Den/Home Office/Potential 3rd Bedroom! Over sized Laundry/Storage Room and an attached one car garage and parking in back of townhome. 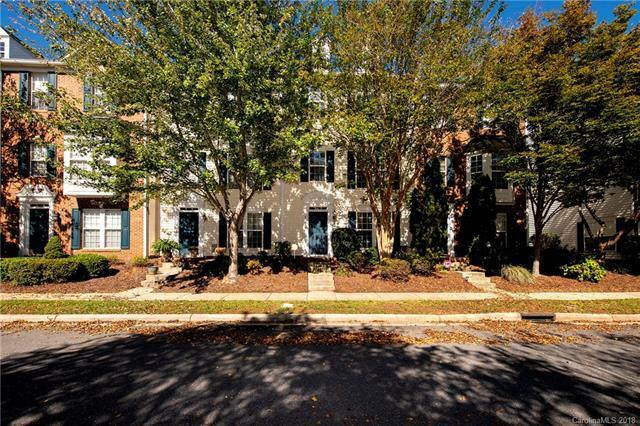 Its the perfect Ballantyne location, close to the Morrison YMCA, StoneCrest and Blakeney shopping centers! Top rated Ballantyne Schools. New roof in 2018, brand new HVAC in 2018 with a transferable warranty.